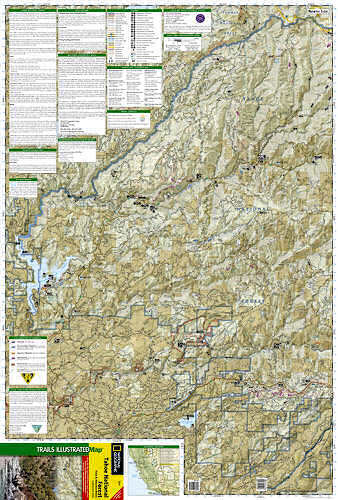 Trails Illustrated Tahoe National Forest Yuba/American Rivers [ti804] - $9.95 : Trail Explorers Outpost, Keeping the Adventure Alive! 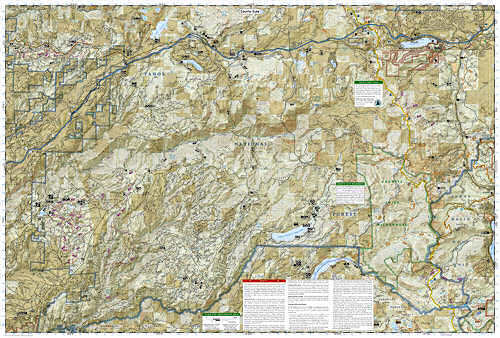 This Trails Illustrated topographic map is the most comprehensive and complete recreational map for the Yuba and American Rivers area of the Tahoe National Forest. The map shows all trails, campsites, and recreational features. Granite Chief Wilderness, Pacific Crest National Scenic Trial, American (North Fork) Wild and Scenic River, Downieville, Hwy 49 Corridor, New Bullards Bar Res., Saddleback Mtn, Highway 20, Forest Divide, Sugar Pine Res., French Meadows Res., Lake Valley Res., Cascade Lakes, Squaw Valley. Towns: Nevada City, Camptonville, Downieville, Foresthill, Soda Springs. Other highlights: Donner National Scenic Byway, Malakoff Diggins State Historic Park. All data is updated to reflect road closings, new trails, and campground relocation. Printed on waterproof, tear-resistant material with plastic coating that ofers supreme durability for your next outdoor adventure. SRP: $11.95Trail Explorers Price $10.45!